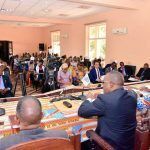 Political Combinations of civil society, national and international personalities including messages and statements about the political situation in the DRC have been appreciated by the Congolese. News compelling, especially in view of the very tense political climate prevailing in the country in view of the September 19, scheduled for convening the electoral body by the Constitution Opinion Echos continues to fulfill its mission to sound out opinion in to know the aspirations of Congolese face this situation which predicts the explosion. 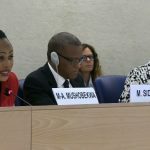 How do they judge the Congolese political actors and their positions facing the holding of inclusive national dialogue, statements by civil society organizations and certain national and international personalities. In the Democratic Republic of Congo, the political scene remains currently dominated by the back of Etienne Tshisekedi, UDPS historic leader and Chairman of the political grouping called “Rally for Congo” and the various meetings organized first by the Majority presidential power and then by the various platforms of the opposition. 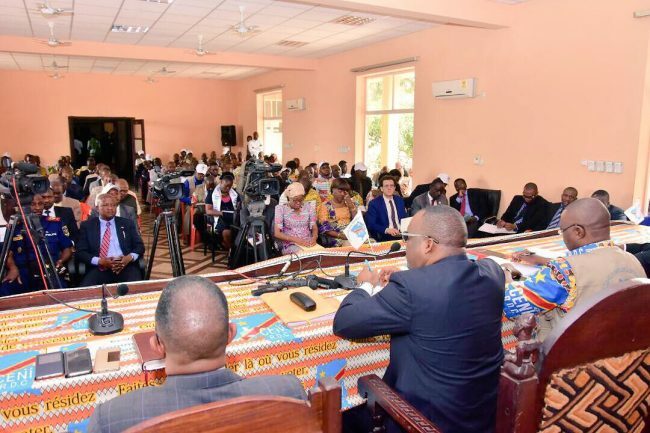 The messages to each other and had to deliver to the people and the various political statements are the reference elements qu’Echos Opinion submitted to popular barometer to know how those most concerned, that is, -dire, the Congolese themselves have appreciated. Reason: This opinion survey targeted a single goal, that of how the Congolese have received and appreciated the different messages and policies and other statements relating to the political crisis that the country is observed and holding sense of inclusive national dialogue to resolve to avoid the worst. This work was carried out taking into account the qualitative and quantitative aspects. Quality: All scientific work requires that we comply with established standards such as quality and quantity. In the present work, all the variables these two aspects were not neglected. 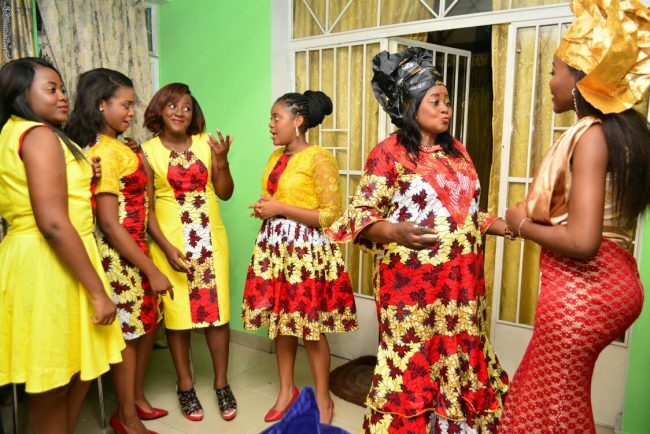 Why those related to gender, level of education and stratification by different age groups have been carefully considered in order to obtain results that reflect an objective view of the entire Congolese people. Parameters considered biased and negative example of tribal affiliations, ethnic, linguistic and provincial were simply dismissed as not to distort the findings. Quantitative: The sample used a thousand people was considered sufficient to reflect the opinion that the Congolese are about current issues related to the end of the current legislature, respect for the Constitution, breach or slipping reading messages and statements of the political groups, civil society and independent personalities. Political groupings, civil society and national and top-rated international personalities. The table below shows, in order, decreasing the names of ten political groupings, civil society and independent personalities that marked the Congolese opinion through messages or statements reflecting their positions on the management the issue related to inclusive national dialogue. Because, remember, this is said by the Congolese dialogue hear prepare subsided after polls arrange to renew the facilitators and members of political institutions already operating or those put in place. It should be noted that each respondent was allowed the opportunity to operate one or more choices, according to his assessment. Their choice was were met without putting persons split or multiply by the number of choices when counting votes. The number of people who actually participated in the survey did not suffer any variation. However, each score was counted as a voice attributed to the beneficiary. What political grouping or any civil society and independent personality, do you sent a message or a statement that you enjoyed about the holding of inclusive national dialogue? Considering the results obtained, the top of the table is occupied by Michael Bongongo, SG UFC and the Republican opposition. The message of the moral authority of the UFC and the Republican Opposition, Leon Kengo Wa Dondo calling it incitement messages delivered to their activists by the Presidential Majority and Rally of Forces acquired to change occasion of the rallies they held Friday, July 29 for the first and on 31 for the second, while advocating for its share holding of inclusive national dialogue was enjoyed by 87% of the Congolese. It is followed closely by Father Leonardo Santedi, also General Secretary of the National Episcopal Conference of Congo whose message of Bishops willing to continue contacts in order to settle some obstacles that are delaying the inclusive national dialogue has collected 72% . 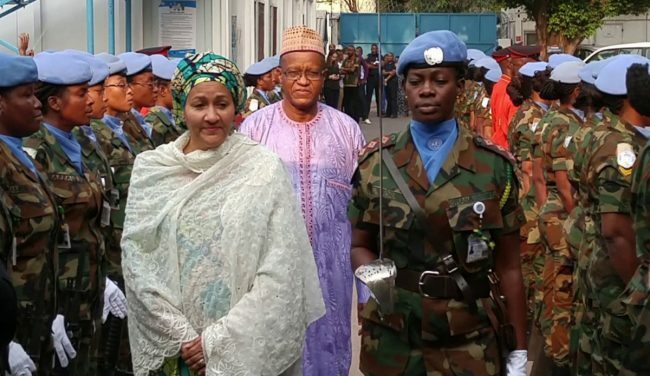 In third place is an international figure in the person of Mother Sidiku, head of the UN Stabilization Mission in the DRC (MONUSCO) which obtained 70.8% of favorable opinion for its message prompting actors policies from different sides of the political spectrum to regroup and act quickly to prevent the current stalemate degenerate into serious crisis that could plunge the country into violence. Next comes fourth in the European Union, which declared mobilized to the inclusive national dialogue, urging the Congolese Government and all parties concerned to create conditions for its start as soon as possible. This statement was well received by 65.7%. Fifth place ranking is occupied by the Presidential Majority, which got 57% of positive opinion following the support for the holding of the dialogue and that granted to the facilitator during its meeting of Friday, July 29, 2016. Mr. Fiyou Ndondoboni, a Congolese politician, party leader Orange fate for her by the incognito for advocating the referral to the Constitutional Court under Article 162 in case the elections will not take place before 19 December to find a violation of Article 73. 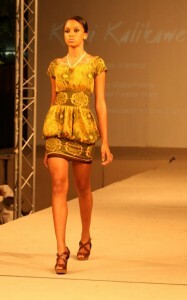 It collected 56.5% of votes and occupies the 6th place because the Congolese have found its peaceful means of redress. 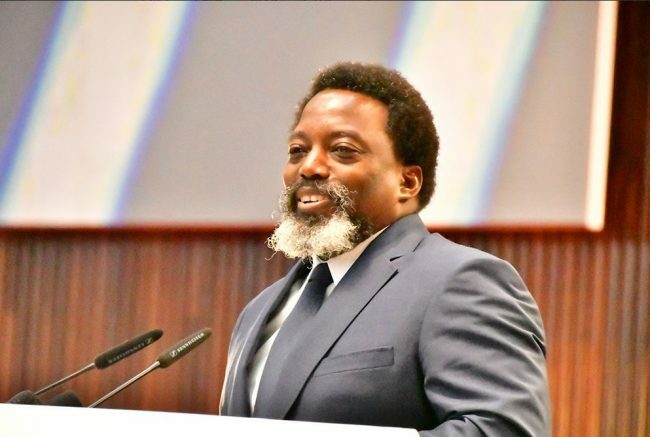 It is followed by lending the Rally of Forces acquired change because 56% of Congolese have appreciated his statement that he was prepared to go without the current dialogue facilitator. It is ranked 7th. Eighth place went to the support group dialogue, which received 55% of votes cast. This fringe of the Congolese opinion found its target to start as soon as the launch of the dialogue process as a peaceful way able to defuse the current political crisis in the DRC. At the last position of the ranking is the Democratic Front with 53.4% of votes received. 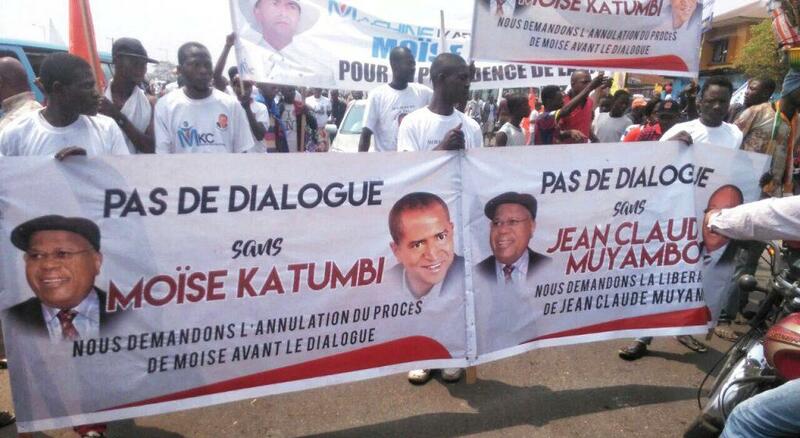 The platform of the Opposition believes that President Joseph Kabila has to assume. At the bottom of the top-rated picture is the Opposition Extra-parliamentary, which indicated the route by which the Government can meet the necessary means for the organization of elections. The suggestion from the sale of an undeveloped mining concession to gather the financial resources necessary for the organization of elections has received a favorable opinion of 51.2% of national opinion and hoisted him in tenth position. The sample used in this survey responded positively according to the objective of the present work. 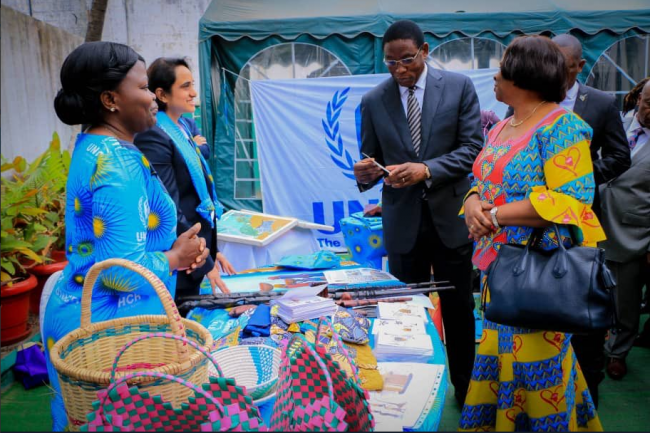 The Congolese have willingly submitted to this opinion poll and they freely expressed how they received and appreciated the different messages and statements of opinion by political, civil society and different personalities so that national international. Depending on the result following the investigation by Echos Opinion, it is easy to see that the Congolese overwhelming majority does not want the political class, civil society and the international community lead to a situation violence. Why messages and statements of moderation were better appreciated. For its part, opinion Echos has ensured strict compliance with scientific standards required in a work like this in order to avoid errors that the margin should be below 5%. He emphasized that the results of a poll not being freeze data, these vary in grated time and circumstances. Everything depends on the behavior and attitude of concerned when the investigation unfolds. 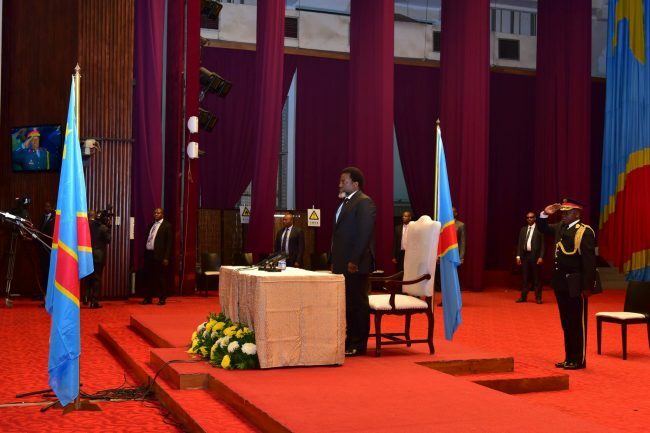 Claiming to have accomplished the mission he was assigned, Echos Opinion congratulate those who obtained the favorable opinion of the Congolese and encourages those who have not been part of this classification do their best to won the approval of the Congolese people. The meeting took place on 17 August. 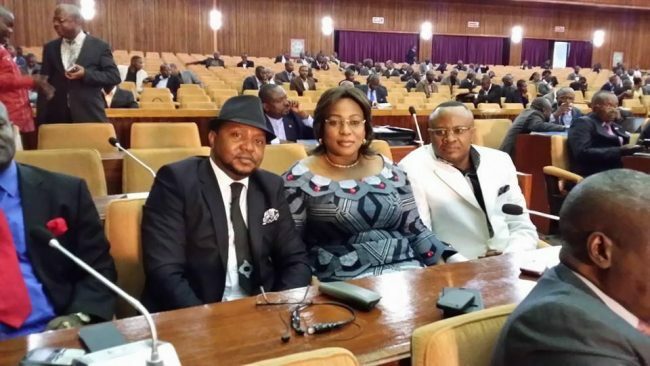 A wise Rally, Gabriel Kyungu wa Kumwanza, National President of the National Union of Congolese Federalists -Unafec- was seeing Etienne Tshisekedi, UDPS and President of the Committee of Wise Men of the Opposition Genval. For nearly an hour, the two leading figures of the Congolese political scene RD conferred on the burning issues of the day. It should be recalled that Kyungu is also one of the founding fathers of the Union for Democracy and Social Progress. His visit comes in a particular political context. First, it comes after the filing of the complaint of Steve Mbikayi on the massacre of Baluba in Katanga in the nineties. Then governor of the former province of Katanga, Shaba at the time, Kyungu is often pointed to as having played a major role. 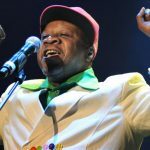 On the other hand, Etienne Tshisekedi is under fire from some ancient historical founders of the major party of the Opposition in the DRC as Lusanga Ngiele and others. Kyungu Tshisekedi and what deal they concluded? The question remains. The first lady of the Democratic Republic of Congo arrived in Goma, Chief town of the province of North Kivu, yesterday, Thursday, August 18, 2016. Always heart with the people, she went there to preside over the inauguration a shelter for people of the third age. 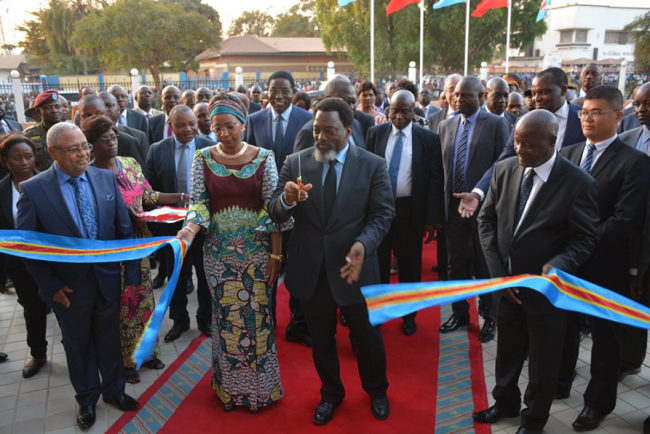 On the sidelines of the official opening ceremony, Marie Olive Kabila Lembe adjusted a few words in place of the Congolese population of the entire Republic, in general, those of Beni, in particular. She, at first, expressed his grief, his compassion for the inhabitants of the territory of Beni. Faced with the discontent and despair that rise in the opinion, the wife of President Kabila wants appeasement. She urged each other to stand up, not to give in to fate. The city of Beni since the massacres that occurred on Saturday, August 13, idling. While the country was crying in the national mourning decreed by the central government, there, in that area, civil society had decreed, too, three days dead city. The watchword was, more beautiful, respected, so that things now, continue to run at no chameleon. So Lembe Olive Kabila invited the people to continue to live, to work. This is a way to show that ” we are stronger in Jesus, ” she says. Once again, the former Togolese Prime makes an appointment with Congolese. The Facilitator Edem Kodjo announced the start of inclusive national political dialogue in the Democratic Republic of Congo. Date? He has given item. 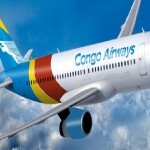 Only during his press briefing on Friday 19 August, in the Massala room Pullman Grand Hotel in Kinshasa, Edem Kodjo said that it was during this week that the new go will be given at this meeting. What about pre Opposition, including Genval worn by Etienne Tshisekedi? Kodjo says have worked, all recent weeks to address these requirements. And, most important of them were, in his opinion, found answers. Indeed, of the 26 persons on the list of political prisoners and detainees or opinions presented by the Rally Support Group, 24 have been released, he insists. And, in addition, two television channels whose authorship is attributed to some leaders of the opposition, were reopened. Hence, for him, it should start at the earliest, the dialogue. partial response, admittedly. But what position will adopt the lider maximo and the Rally of Forces acquired change the face of this announcement? Will they ship with the facilitator they rejected? If the rally is not therefore Kodjo he will darken without Tshisekedi and others? These issues remain. Decryption! The machine dialogue launched in over a year, has completely stalled in late July. Reason? Well, the Facilitator found himself stumbled to the requirements of the Opposition Genval with, headlining, Etienne Tshisekedi, president of the committee of wise men of this mega political platform. In the background of this block, included a roster of pre posed by the Sphinx of Limete and his cronies Rally. Three emerged from the crowd. This is the release of political prisoners and detainees or opinions as well as the cessation of harassment against opponents, reopening Media closed because considered too close to the opposition, and finally replacing the facilitator now challenged by a transformation of the support Group facilitation Committee. 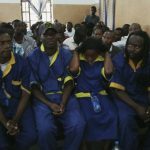 Friday, August 19, 2016, a litany of prisoners regained their freedom. The news was delivered by Alexis Thambwe Mwamba, Minister of Justice and Keeper of the Seals of the Republic. In the process, the Christopher Ngoy, Fred Bauma, Steve Makwambala and other actors (leaders) or political opinions were freed from the yoke of their captors that they have spent many moons. Some chains televisions also received a pardon from the central executive. 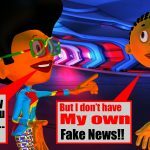 This is the CKTV chairman Jean-Pierre Bemba Gombo and Canal Futur Kamerhe. 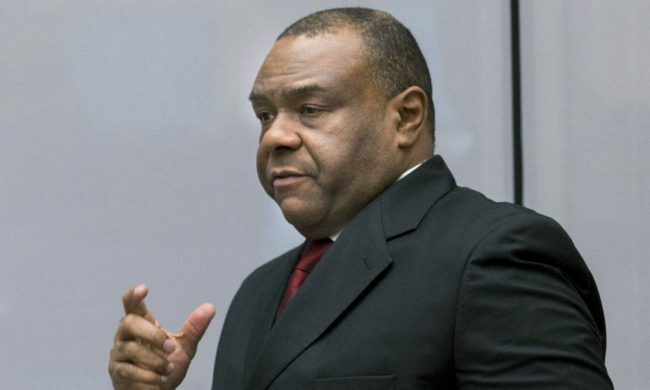 In an official statement, Kodjo said ” high congratulate Congolese authorities for this gesture that contributes to easing the political climate. 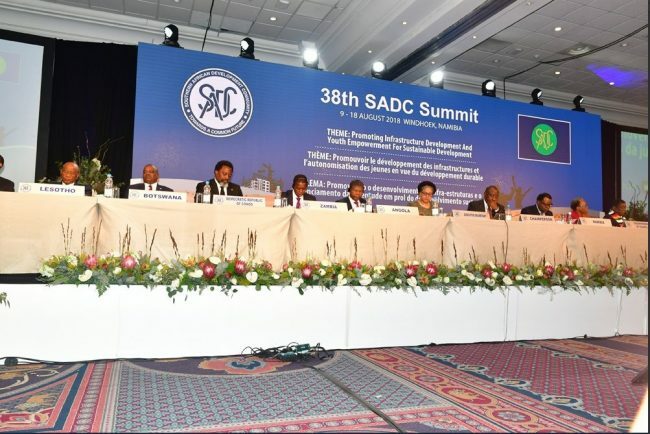 The latter is capable, says the facilitator appointed by the African Union, to create conditions for the launch of inclusive national dialogue process ”. 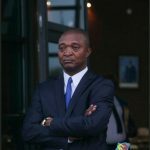 It invites ” clase Congolese politics as a whole, to show overshoot and give a chance to the search for a consensual solution to the current situation in the DRC ”. This, according to the Constitution of Congo – Kinshasa at the 2277 UN Resolution, the expectations even of the Congolese people and also of the entire international community. In the momentum of this call, Kodjo said launch this week, the work of the dialogue. Some observers prior Opposition have been met only in part. 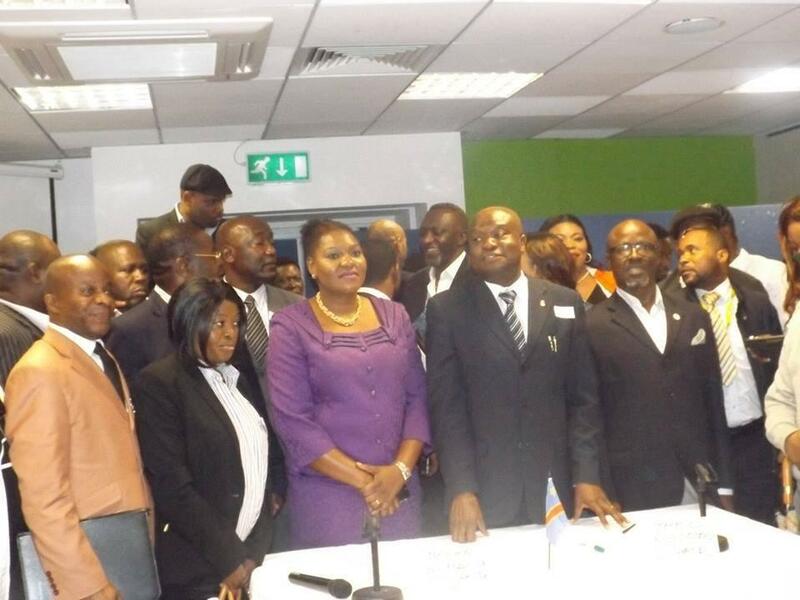 Kodjo challenged and supported by several international, regional and national, remains in place. During his press conference, he avoided, however, to address this issue. At the end of his recent meeting with CENCO, the man had even said can not consider such a prospect. Furthermore, with regard to prisoners or detainees, not least two were not released. 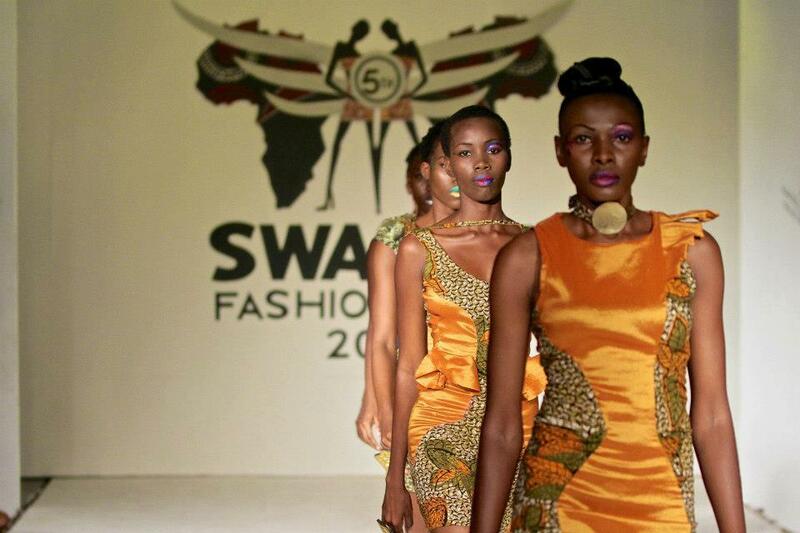 This is Diomi Ndongala Eugene and Jean-Claude Muyambo. These two hawks, adding befits the case Katumbi and others who themselves suffer the hassles due to judicial proceedings. But also, it takes all the other channels and not reopened radios. In that context, many remain skeptical about the actual launch of the dialogue, at least, we must rely on the participation of the Rally and all its attendant political parties and platforms. Although it is worth saying that some members said Rally seem them more moderate and therefore, able to fit into the scheme of immediate dialogue considering that the wear and use the situation advantage in power by bed slip. ” We have submitted the list. It is not we who have made the list. It was forwarded to the government. We have omitted anyone. The government has good reasons for not subscribed to free some people, ” argued essentially, the Facilitator. Face any equivocation, he said to just be in the middle facilitate resolution of issues that arise on the path of dialogue. ” As for us, we will find ourselves in the breach to try to solve the problem whatever its complexity ”, says Edem Kodjo. I am sorry that the chaotic situation in the east of my country. Again and again too, desolation, grief and sorrow seized Congolese from all sides. It is therefore my duty whatever the circumstances, the political or economic context, our moods, our tendencies to tell the truth and call the cat by name. This umpteenth sad and cowardly mass killing is the work of ADF rebel movement of Ugandan origin, born in the mid-1990s to fight the Ugandan current regime in power for 30 years. Merely consider the purpose for which this movement was established, there would be trouble understanding that heinous massacres recurring perpetuated in the DRC rather than in Uganda, which would make sense if fault remain objective and rational. Since the time of mourning is over, we have to go in search and operationalization of concrete answers in order to definitively ends the mourning and counting the dead of our brothers and sisters. However, if the question is wrong, the answer will be biased. If the problem is not placed in context, we will fall into a pretext. If the results are distorted, the strategy to develop and deploy will be inappropriate and will not have a concrete impact on the ground. Before proposing solutions, it is important to understand the author (ADF) of these massive and repetitive killings. Since 2007, the ADF Islamist militia led by Jamil MUKULU is accused of multiplying massacres of peaceful Congolese compatriots going about freely and quietly about their business. These Congolese civilians, peace-loving, living in North Kivu in the DRC continue to pay for the barbarity of the ADF fighters. An institution or an organization worth its leader (leader), they say. Jamil MUKULU, host of the ADF, is a radical war leader whose motives remain visibly and tactically disorders. This Christian, a native of Uganda converted to Islam, is presented as a radical Islamist. But as for his willingness to sacrifice for the sake of Allah, many analysts and researchers emit their doubt. MUKULU Jamil, leader of the ADF is one of the most wanted militia and bloodthirsty North Kivu. It is placed since 2001 on the list of terrorist organizations by the United States of America. The Warlord is referred for nearly 15 years by United Nations sanctions and the European Union. 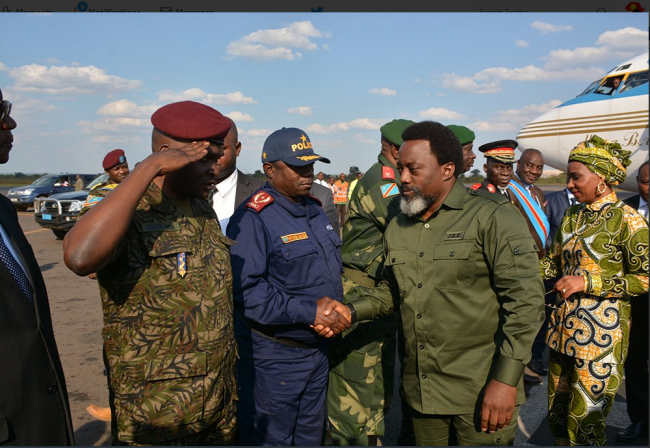 Located in the territory of Beni, in North Kivu in the DR. Congo, ADF is considered by many international experts on defense and security issues as the main source of instability in eastern DR Congo. To recall, the ADF is the Islamic branch of the former Ugandan rebel ADF-NALU of born in 1995 of the Alliance between the Muslims of the Allied Democratic Forces (ADF) and the fighters of the National Army for the Liberation Uganda (NALU). After failing to overthrow the regime in Kampala, NALU members had left the movement to go in 2007. Jamil MUKULU, Military Chief of the ADF, finds himself in sole command of the militia he leads since ferociously . MUKULU Jamil, born in 1964 in the village of Ntoke in the Kayunga district in Uganda in 1980 will integrate the Tabligh Islamic movement born in India in 1920. According to a report from UN experts on the DRC, Jamil MUKULU have his headquarters in the North East of Beni, near Eringeti in a camp called “Madinat Muwaheedina Tawheed”. His troops would be divided into different camps nearby. 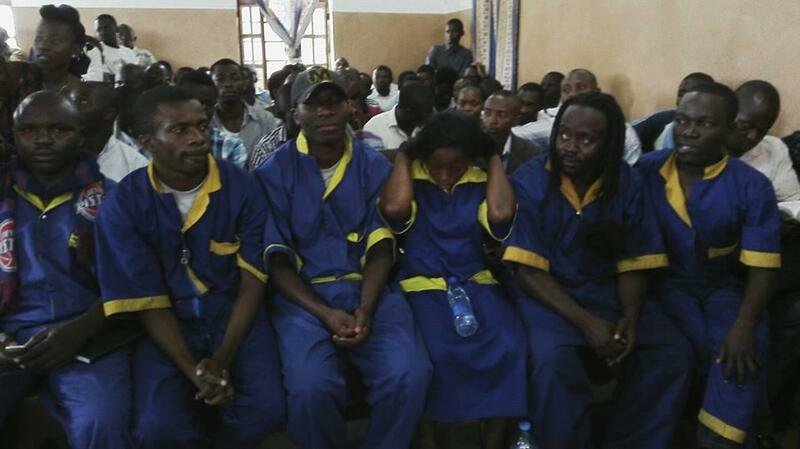 Some fighters were conscripted in the DRC and Uganda. Even family members of his fighters, women and children, are being also impose military training. According to a report of the Ugandan intelligence services consulted by the newspaper “The Daily Monitor,” the terrorist Jamil MUKULU would have attended training camps in Afghanistan and Pakistan. In an edition of the RFI Journal of May 9, 2015, referring to the request of Uganda to Tanzania, extradition of Jamil MUKULU, the French journalist described it as follows: Jamil MUKULU is a difficult character to identify. Interpol on the search page, it appears as nine false identities and nationalities. 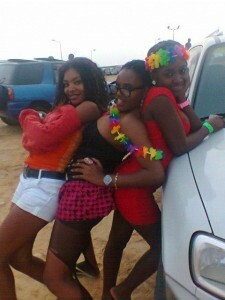 Sometimes Kenyan, Tanzanian or sometimes even British. The man is a champion of transformation. He is bald and beardless on a false passport, mustachioed another, or bearded, with or without glasses … is suspected of having trained in Afghanistan and Pakistan. He was wanted for attacks and murders in Uganda. But it is especially in the DRC, in the Beni area of North Kivu that, under him, the ADF militia showed great cruelty, including massacres and mutilations of women and children. 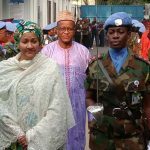 It is still the ADF that is attributed the attack on a convoy of MONUSCO which had cost the lives of two Tanzanian soldiers. 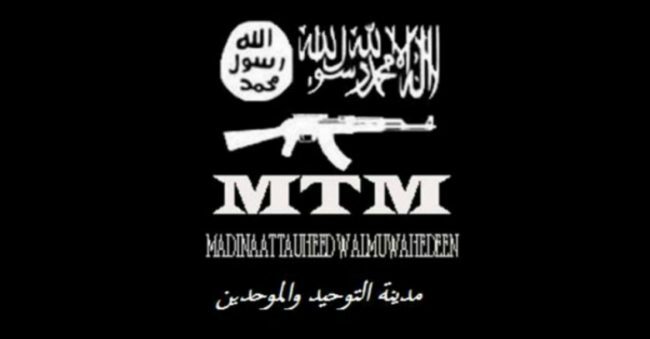 Having links with Al Shabaab affiliated Somalis since 2012 at the Al-Qaeda, ADF, under the rule of Jamil MUKULU, from 2007, has grown from a regular militia component of African radical Islamic nebula. 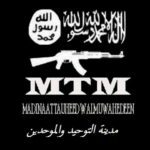 In recent years, many intelligence services of countries in the Great Lakes Region hammering the ADF Jamil MUKULU has links with Somali Shebab. According to Christopher Vogel, specialist researcher armed groups in North Kivu, there may be tactical exchanges, logistical cooperation … between the two movements. However, the ideological motivations of the ADF, like those of MUKULU remain deliberately vague. Hard to say if this group leads the Jihad or if he defends political and financial interests. However, some experts believe that the ADF is a terrorist offshoot DRC for access to strategic minerals. By analyzing the medium and mode of action of the ADF, the tactics of camouflage its leader, how to use force and violence by people whom we know neither the face nor the identity and the period of existence of this movement, it is necessary to confirm that this is a terrorist offshoot to conquer the Congo to build capacity capable of greater concern all humanity. Hence our call to the national and international mobilization to permanently destroy this movement in order to prevent access to strategic minerals. Sometimes the goals of terrorism are not clearly established, it is simply to kill people at random. The aim is to spread fear and make everyone say, “this victim, it could be me.” Nobody is immune. This will force people to change their lifestyle or even to empty their environment to give them space. A terrorist thinks and he is a murderer who calculates. He works long-term to achieve the final goal. Terrorism is not religious. It is not an Arab or Muslim tradition. Any terrorist act is not claimable. measures to ensure respect for human rights and the rule of law entant a fundamental basis for the fight against terrorism. Define our diplomatic line against the international current issues and interests of the actors of international life interested in the precious materials of the DR Congo. The DRC is one of the few African states not to have signed the document “Humanitarian Commitment” on the consequences of nuclear weapons, despite its active participation in the 3rd Intergovernmental Conference on the humanitarian consequences of nuclear weapons in Vienna in December 2014, we believe that the time has come for the Government to request both Houses of Parliament for authorization to ratify this Convention. Being very ambitious by assigning a goal to create wealth in a modern way, because artisanal mining, forestry, agriculture and fishing is not a credible alternative but a slave and criminal activity that responds to the absence of industrial initiatives. Adoption by the regional parliaments of the new laws adapted to the fight against international terrorism, like other countries affected by this scourge. Do accept the terms “terrorism” to the international community in relation to killings in the eastern DRC as was the case with the terminology “aggression” during the war with the Rwandan and Ugandan troops. Make integrate the DRC in the Special Team for the Fight against Terrorism established in 2005 by the Secretary General of the United Nations so that the issue of blessed be supported in the framework of the Global Counter-Terrorism Strategy of the United Nations. The United Nations Centre for the fight against terrorism assists Member States in building capacity and implementing projects against terrorism worldwide. 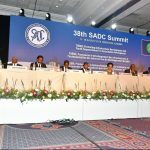 It is time that all citizens of the world are mobilizing to prevent the Boko Haram movement is expanding, does not come to a junction with the ADF in the center of Africa, and they have certainly not access to strategic materials including uranium, lithium, niobium, coltan … that abounds Congo. The latter should be a lock to prevent this junction. In particular, girls and son, fellow Congolese, despite our political differences, the political crisis or political maneuvers of one or the other, it is imperative that this issue that strikes the soul of the Congolese that we are able publicly silence our divisions. Otherwise, the terrorist will soon realize that he managed and he can afford to rush into its target spare no one. Congolese foreign and Congolese living in the DRC, we must all denounce and combat terrorism. Opinion leaders must be able to set up a sacred union of the Congolese nation against terrorism. Faced with this terrorist drama of Beni, we have unanimously promote national solidarity and unity of the Congolese. CETTE RENCONTRE ETAIT UN SUCCES TOTAL SANS PRECEDENT CAR TOUTES LES TENDANCES DE FORCES VIVES DE NOTRE NATION ONT PRIS PART A CES ASSISES, A SAVOIR LES REPRESENTATIONS DE PARTIS POLITIQUES, DE LA SOCIETE CIVILE , DE LA RESISTANCE ET DE LA COMMUNAUTE CONGOLAISE . LE MESSAGE CLE A TOURNE AUTOUR DE LA FIN DU MANDAT DE JOSEPH KABILA . 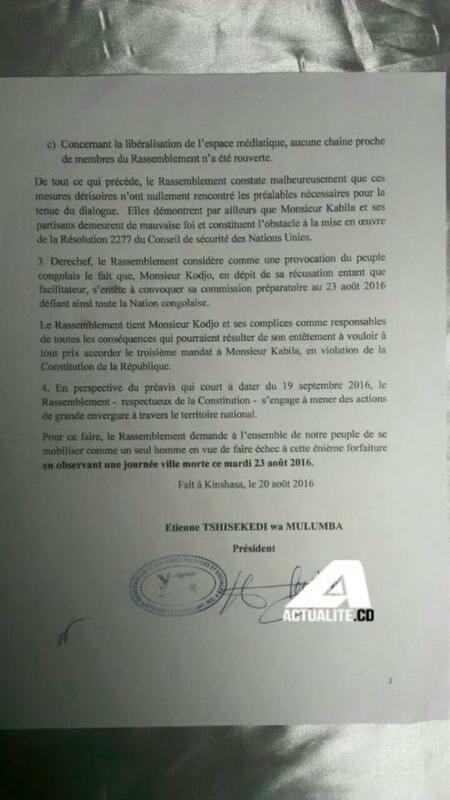 LES PARTICIPANTS ONT PRIS LA RESOLUTION D’ORGANISER UNE SERIE D’ACTIONS AU ROYAUME UNI ET LA DATE DU 20 SEPTEMBRE 2016 A ETE RETENUE POUR LA PREMIERE OPERATION ” KABILA COMPTE A REBOURS”. LIEU DOWNING STREET, LONDRES. 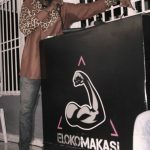 POETE ROBERT KABEMBA MANGIDI . Flash!! Flash!! Lire et partagé: Le Rassemblement appelle la population congolaise à observer une journée ville morte, le mardi 23 août 2016 sur toute l’étendue du territoire national. 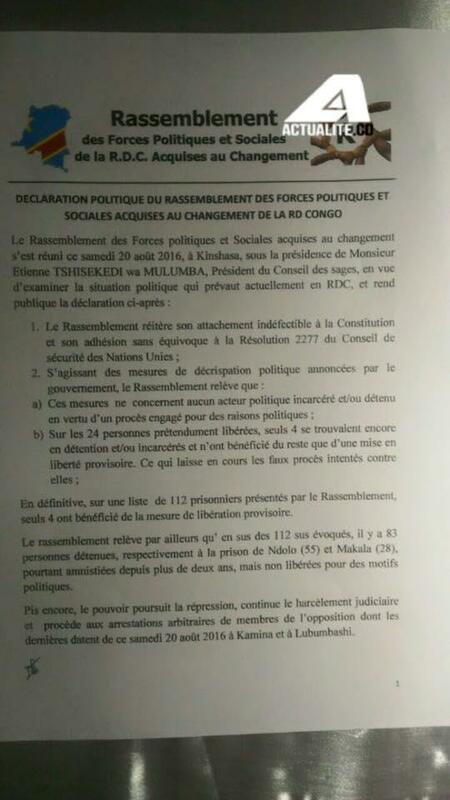 Lettre de nos 6 camarades emprisonnés à Goma au Président de la République en rapport avec la mesure de grâce individuelle prise à leur égard ce vendredi 22 juillet 2016. Province du Nord-Kivu, République Démocratique du Congo. 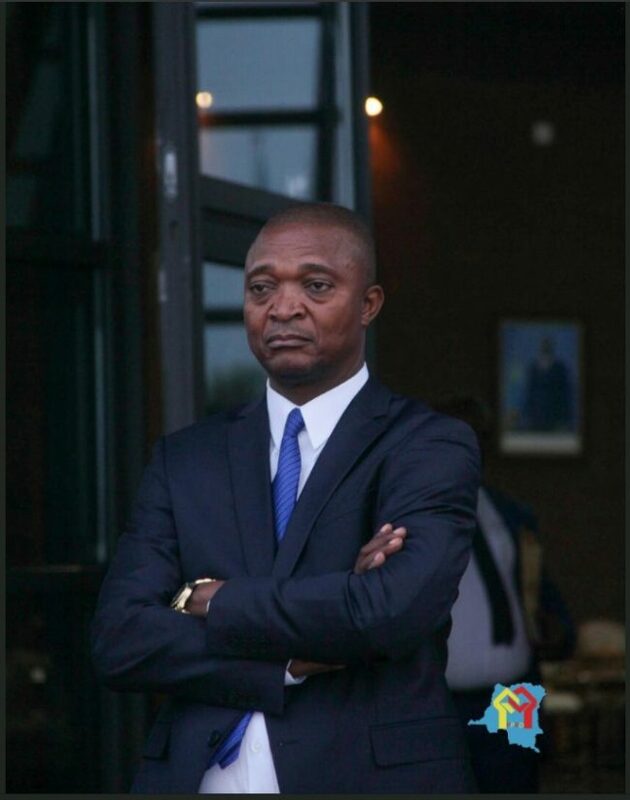 A Son Excellence Monsieur le Président de la République Démocratique du Congo. (Palais de la Nation, avenue Roi Baudouin, Kinshasa / Gombe). Après avoir pris connaissance de l’ordonnance sus-mentionnée, portant mesure individuelle de grâce à notre égard, nous nous permettons de vous adresser la présente afin de vous faire part de notre sentiment, en toute sincérité. Nous voyons dans cette mesure, d’une part, la reconnaissance du caractère arbitraire, injuste et politique de notre arrestation et notre condamnation il y a cinq mois. Bien que cette mesure n’efface en rien les iniquités subies en punition de notre lutte pacifique pour la démocratie, pour nous la reconnaissance d’une injustice est en soi un début de justice ! 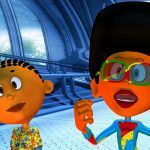 Nous y voyons, d’autre part, un premier pas encourageant vers, nous l’espérons, la décrispation réelle et complète de l’espace démocratique et la fin de la répression des libertés publiques, y compris la liberté d’opinion, d’expression, d’association, et de manifestation pacifique. Nous osons croire que non seulement les mesures collectives de grâce que vous avez prises seront appliquées rapidement, mais que vous irez encore plus loin en ordonnant l’abandon des poursuites contre les autres prisonniers d’opinion, qu’ils soient en détention préventive ou en attente d’un jugement définitif. 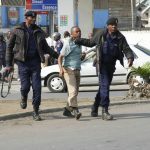 C’est le cas de nos camarades Fred Bauma et Yves Makwambala détenus à Kinshasa depuis près de 17 mois, sans procès ; de Bienvenu Matumo, Héritier Kapitene et Victor Tesongo arrêtés à Kinshasa au même moment que nous ; des activistes Christopher Ngoy, Jean-Marie Kalonji, et bien d’autres encore. En attendant, par solidarité avec nos camarades et tous nos concitoyens injustement privés de liberté et dont le sort est encore incertain, nous préférons rester en prison, quitte à aller jusqu’au bout de cette peine indue qui, de toutes manières, est presqu’entièrement consommée. C’est cela aussi notre liberté et notre dignité. Nous vous prions de bien vouloir agréer, Excellence Monsieur le Président, l’expression de notre très grande considération. Fait à Goma, le 23 juillet 2016. Kabugho Rebecca, Kamundo Melka, Kambale Mutsunga Justin, Balibisire Alipenda John, Kasereka Muhiwa Ghislain, Kambale Sivyavugha Serge. Regardez la vidéo et à vous de la qualifier. 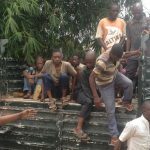 Nous sommes tous à vouloir changer le congo mais nos faisons la barbarie sur une pauvre femme avec ses enfants au nom de quelle loi et justice? 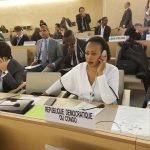 Nous crions Kabila dégage, Alelouha, le respect de la constitution. Cette famille est arrêté par un groupe des jeunes dans un minibus parmis d’autres suspecter d’être de présume égorgeurs. Mais cette imagine ne peut pas nous aider dans nos combats démocratie du changement, dans nos voyourisme sur une femme et son bébé sur le dos. Je demande au gouvernement et à la police de Butembo d’arrêter ces individues qui se disent combattants. Devons-nous changer avant les hommes ou changeons nos mentalités avant toutes? 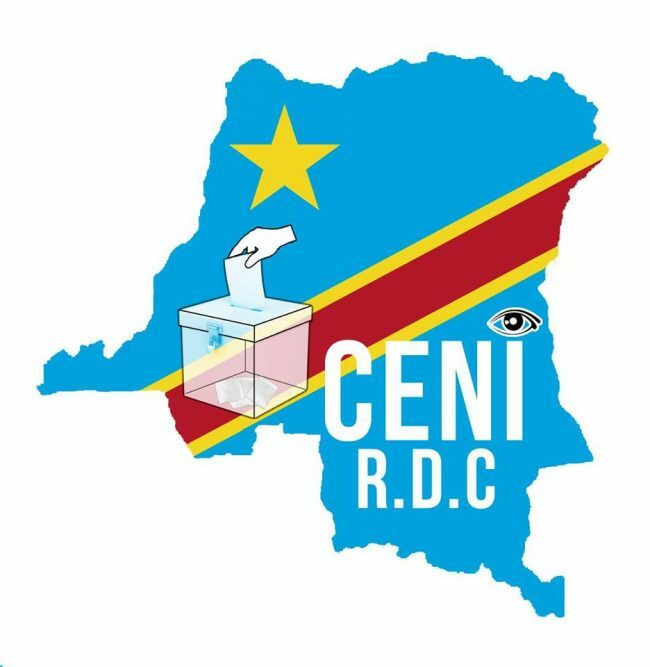 On changera des centaines de présidents dans le néant le congo ne se réconcilie pas avec lui même dans son esprit de vengeance aveugle. ALTERNANCE OUI MAIS PAS DANS CETTE façon là.